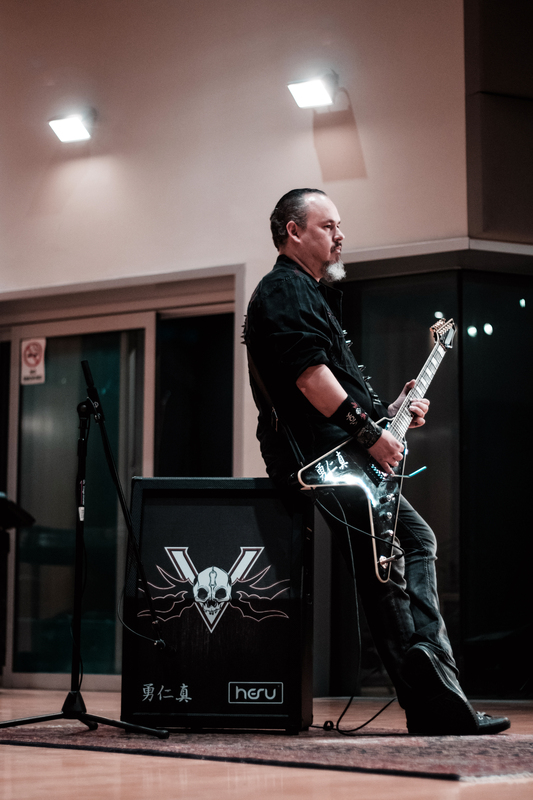 Juan Pi is the founder and lead guitar player of the alternative-metal band Vlök. Born and raised in northern México, he learnt to play guitar as a kid and by the age of 17 he already had participated as a song writer and recording artist professionally along with his first band called MATABALDIA. In the early 90s, Juan Pi played a key role in the development of what later should be known as the most important metal and rock movement in the local Monterrey scene. By the late 90s and with the experience of 5 recorded albums, JuanPi also worked as a producer for about 100 recording bands; some of them achieving good levels of popularity all around Mexico. In 2011, and after a voluntary hiatus, Juan Pi decided it was the perfect time to make a comeback, so he started a new Metal musical project. Meanwhile in Mexico, some serious political and social safety issues were brewing, and for Juan Pi one thing was clear: this new concept should be propositive and must send a message of hope to the people who were living all the turmoil, and violence at that time. Vlök was born. Along with his long time friend and guitar player, Maach, who shortly after left the Band for personal reasons, the first Vlök guitar riffs started to flow. Drummer, Jova Mendez, Bassist, Nunni Hdz and Singer Yogi Llanas came along to join he band, the line-up had been officially conformed. By the end of 2012 Vlök nailed a deal with an indie label, “La Cueva Records” and the first record was released. This record gave them the chance to share stage with some iconic bands like, The Winery Dogs, Quiet Riot, Ace Frehley (KISS), Stephen Percy (RATT), Dio Disciples, among many other local and international Bands. After some years of promotion and live performances, Vlök is actually about to realese their second studio album called “Ignición” on spring 2018 under the Label AMi Noise Records, with plans for a big summer tour and intensive promotion.